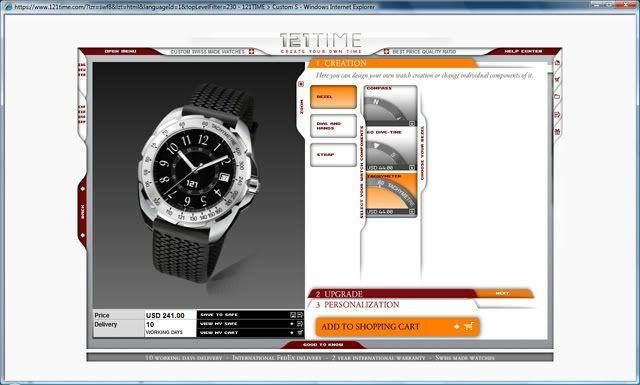 A watch company that uses the same e-strategy as Dell computers and Amazon.com? 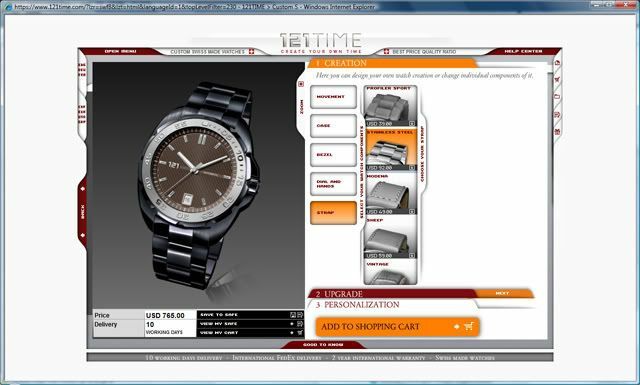 121TIME.com is the first Swiss Made quality watchmaking company that use this direct sales and customization model. 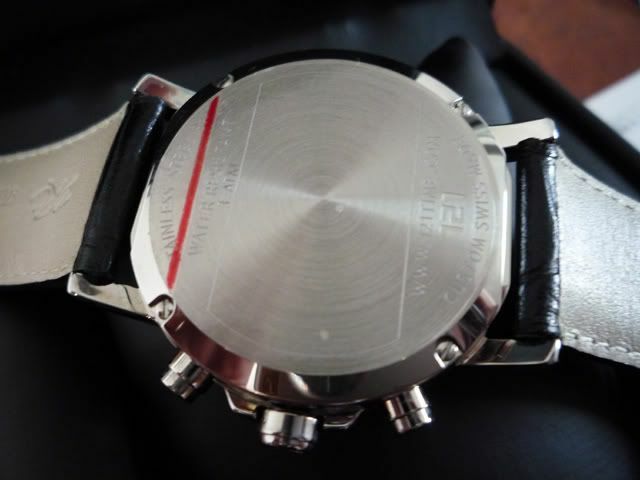 Each watch can be personalized with an engraving of text or a logo in the case back of the watch. Before that, you have to make a choice which type (or as 121TIME put it: “theme“) of wrist watch you like to have, which kind of bezel, dial and hands you want your watch to have, which type of movement you want to have and of course, which type of bracelet. Either stainless steel, rubber, carbon or a number of leather options. However, you can also start from scratch and start by selecting a quartz, quartz chronograph or mechanical movement as a basis for your watch. Watches with this movement come with a display back by default. Playing around with the 121TIME.com configurator, I clicked together this sporty automatic watch with a ‘Challenger’ case, a brushed 60 minutes diving bezel (raised arabic numerals), guilloche dial with vertical line pattern with classy hands (luminous) and a solid 3-links bracelet. Then I upgraded it with a sapphire crystal (add only 39 usd). For just over 750 USD I would be ready-to-go with a self configured mechanical watches, all up to my own standards. So, what’s the catch? Well, there is no brick and mortar or any sales peronnel involved. It’s a factory direct price for the buyer. This saves at least a two digit percentage! And what about the quality of the watch? Is it as good as the website claims it to be? Simon Girardin of 121TIME.com send me a sample of one of their watches to examine more thoroughly. 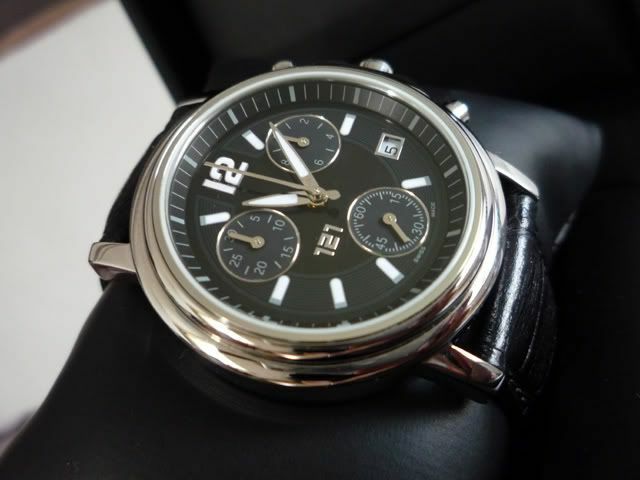 It is one of their Zenturio watches with a nice croco grain leather strap and black chronograph dial. The packaging of the watch is a small black box with a warranty card, manual and a cushion with a the 121TIME.com watch wrapped around it. 121TIME.com ships their watches safely and discretely packed. 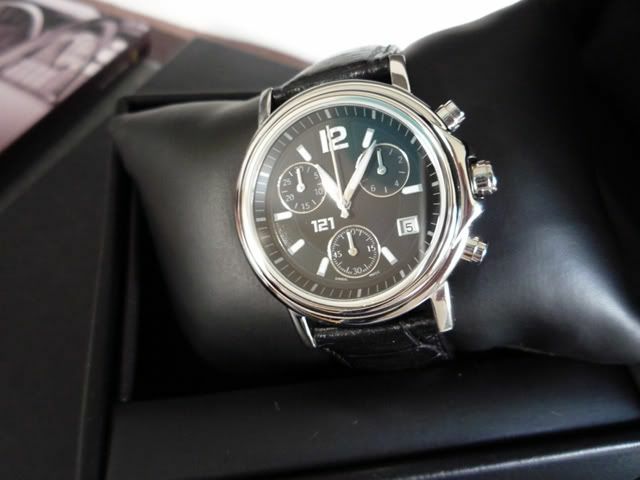 The included manual describes how-to operate the watch, setting time and date and how-to use the chronograph function. The first thing to be noticed is the nice classy looking dial (type ‘Dynamic’) and hour markers. The broad hands with luminous material finishes the watch’s face perfectly. The case of the watch looks and feels solid and is made out of 316L stainless steel. The bezel perfectly integrates in the design of the watch casing. It reminds me a bit of the Zenith El Primero Chronomaster in the goold old days. The crown is being protected against damaging by its shoulders. Of course, the quartz movement makes sure it keeps perfect time. 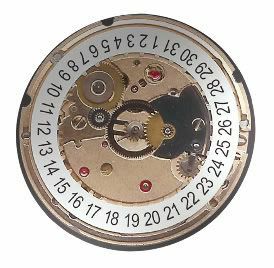 The quartz movement is an quality ETA G10.711 movement with a chronograph (1/10th of a second) and a date window. A mechanical chronograph is not available (yet). The buckle of the watch is signed ‘121’ and has a nice satinized finish. Of course, just like the watch case, the buckle is made out of 316L stainless steel as well. As you can see on the picture below, there is enough space left to have a nice logo or text engraved by 121TIME.com. An excellent idea for a gift! Also note the 4 screws that keep the case back in place. The 121TIME watch comes with 2 years of warranty, 30-day return policy and world wide free shipping (FedEx). Now your turn to do your dream watch!